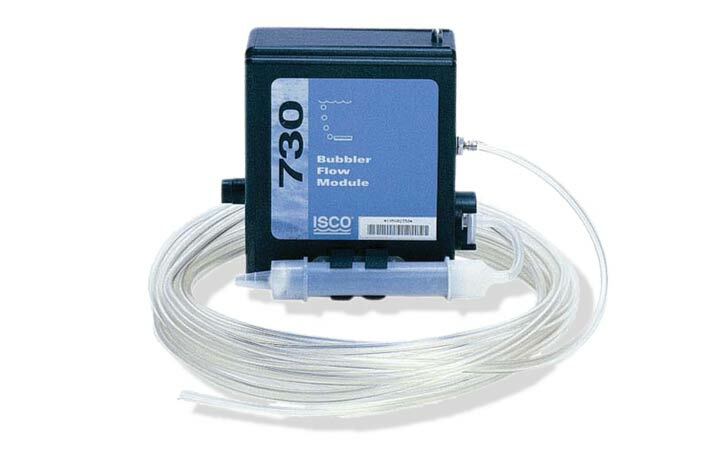 The ISCO 750 Area Velocity Flow Meter module's sensor uses patented doppler flow meter technology to measure average velocity directly in the flow stream. 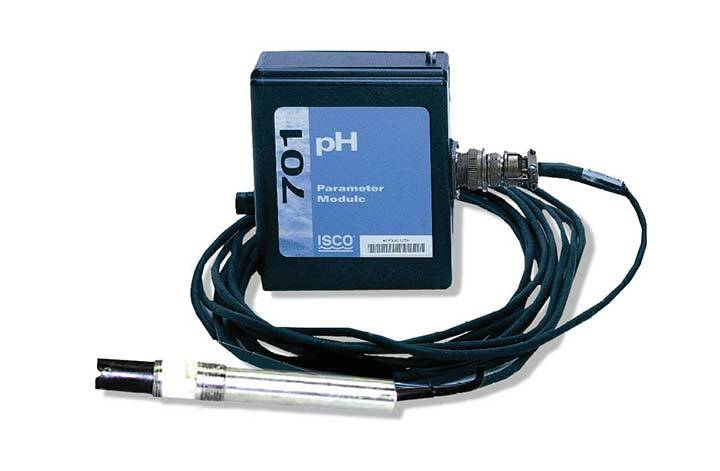 Flow area is determined by measuring the depth of the stream using an integral pressure transducer. Flow rate is then calculated in the 6712 sampler by multiplying average velocity by the area of flow. 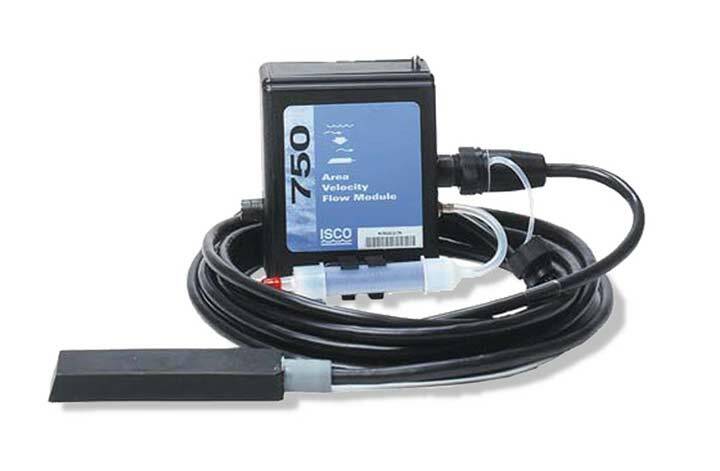 In applications where weirs or flumes are not practical, or where full pipe, surcharged and reverse flow conditions may occur, the 750 area velocity flow module gives greater accuracy. 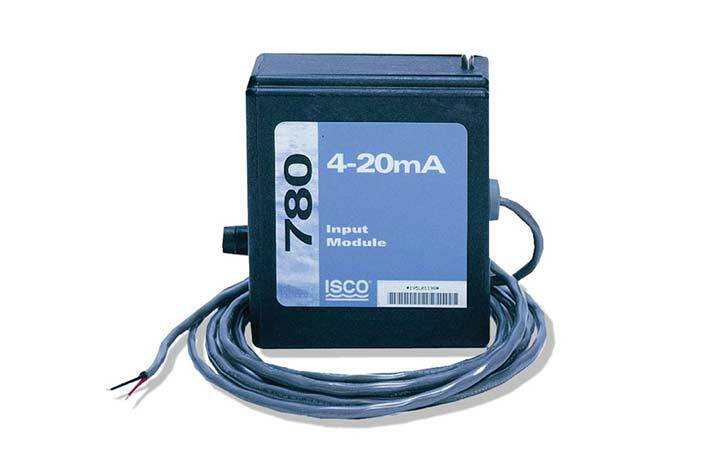 The shorter wavelength of 1 MHz systems does not penetrate into flow streams as deeply as Isco's exclusive 500 kHz doppler which can cause 'nearsighted' velocity measurements. The flow stream is continuously profiled by the doppler flow monitor, eliminating profiling and calibration required by electromagnetic systems. With area velocity flow measurement you don't have to estimate the slope and roughness of the channel. 10ft standard level measurement and 30ft level measurement range. 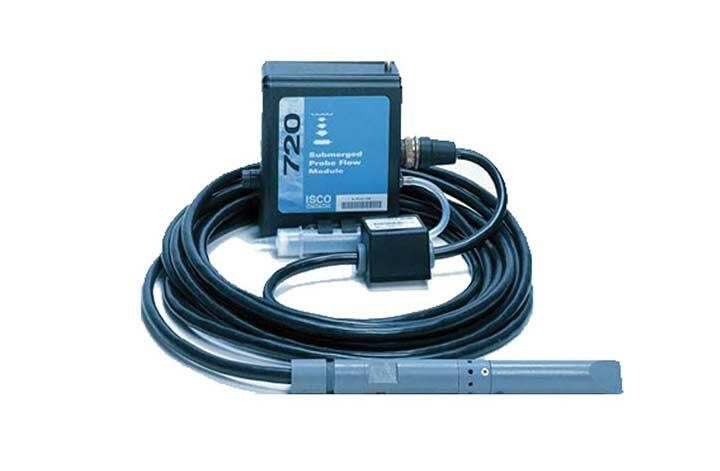 Streamlined, sealed area-velocity sensor resists fouling by oil and grease and sheds debris. All level and velocity data stored in the sampler is available for retrieval and can be used in reporting, graphing and analysis using Flowlink software. Weight, incl. Cable 2.1 lbs (0.96 kg) for standard range probe with 25 foot cable; 3.9 lbs (1.8 kg) for extended range probe with 50 ft cable. Cable Length 25 ft (8m) standard. Up to 75 ft (22.8 m) with optional extension. 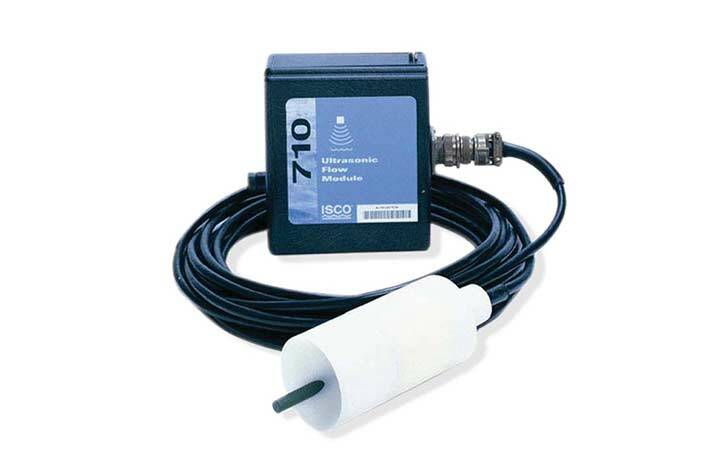 Up to 1000 ft (300 m) with optional Quick Disconnect Box. Level Accuracy Depths from 0.033 to 5.0 ft (0.01 to 1.52m): ±0.008 ft/ft (±0.008 m/m); Depth >5.0 ft (>1.52 m): ±0.012 ft/ft (±0.012 m/m). Accuracy per foot of change from calibrated depth @ 77°F (25°C). Includes non-linearity and hysteresis.